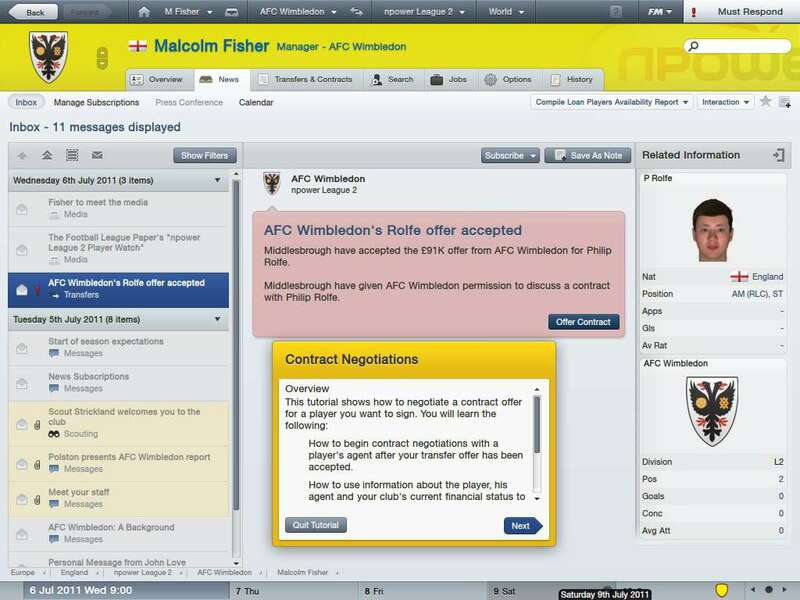 Significant changes to the transfer and contract systems, including loyalty bonuses, better implementation of amateur and youth contracts, an improved transfer centre and the ability to lock areas of the contract negotiation when you aren't prepared to budge. This helps you to manage your budgets and gives you flexibility in what you offer money hungry players, or agents, as incentives. 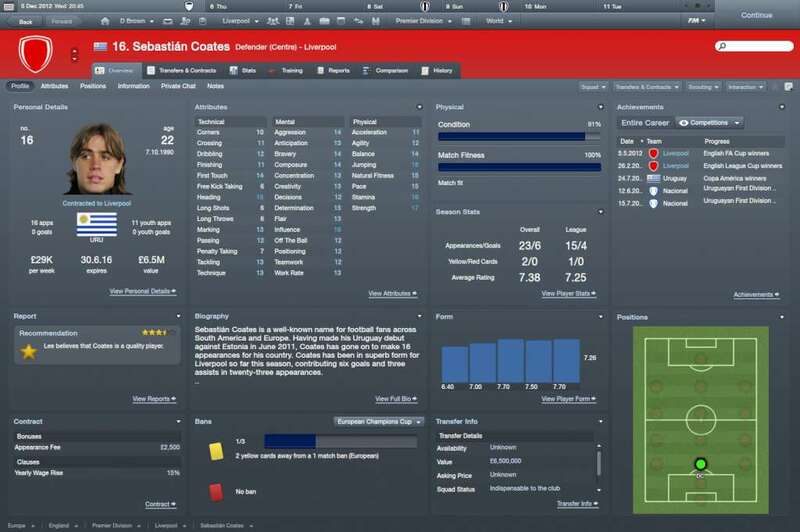 Using several real life scouting reports, a new in-game report has been devised which includes squad analysis, tactics information and information about goals scored and conceded alongside lots of other scouting improvements, giving you all the information you need to prepare before kick-off and throughout the season. 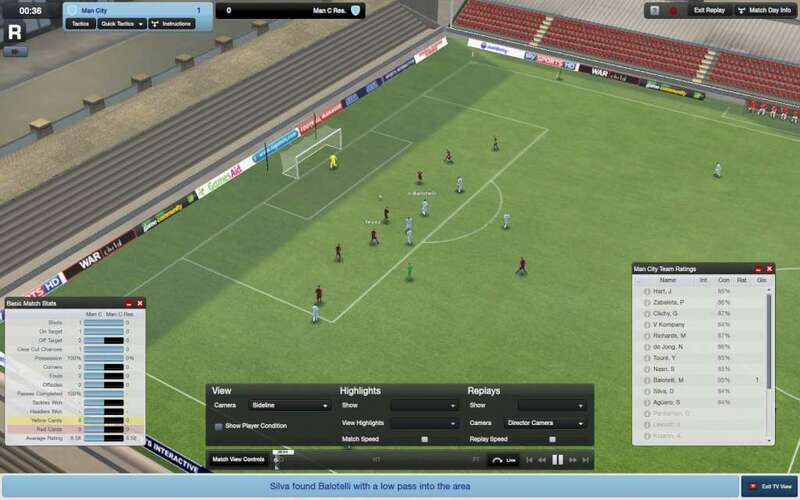 New animations, a whole new crowd system, improved weather system, more stadiums, plus two brand new cameras - "Behind Goal" and "Director Cam" as well as all other camera angles being reversible - meaning you can watch and analyse every aspect of every game. The ability to add or take away playable nations in your saved game as often as you want. 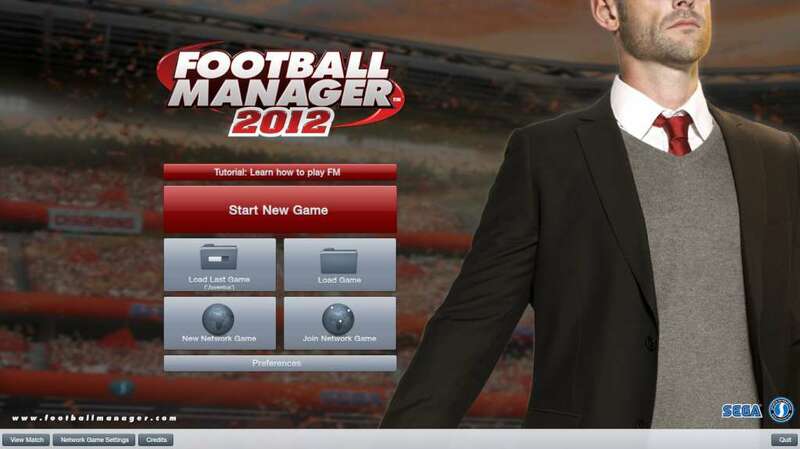 Manage in that country at the start of the next season- meaning you don’t have to stay in the nations which are chosen by you to be playable at the start of your career. A whole new level has been added to team talks and conversations, with the new tone system, which allows you to specify the way you want to say things – be as cool as a cucumber by saying things calmly or throw tea cups around by saying things with passion. There are 6 different tones to choose from with specific comments per tone. A new adaptive layout system, which means the higher your screen resolution, the more info is easily at your fingertips. 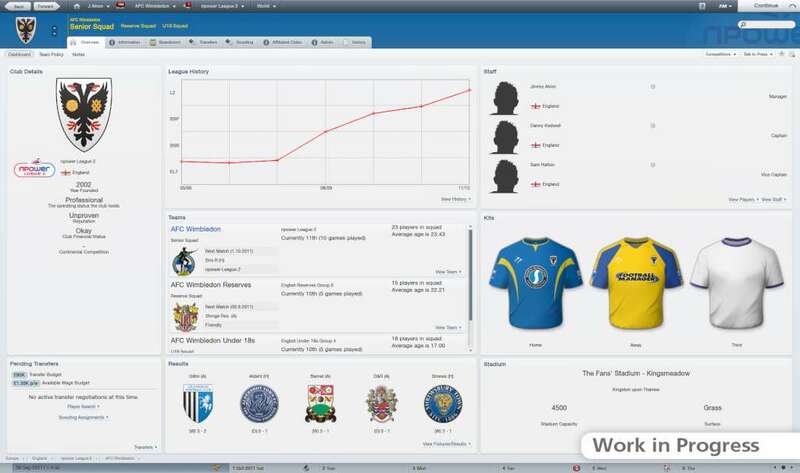 The new interface also contains new filters, customisable columns, a new tactics screen, and lots of new overview screens. Standing separate from the main game, a mode to help new players find their way around the game easily, whilst also offering tips to experienced managers on how to get the most out of the game, as well as a new in-game "how to" system.